The organizers of the Women's World Championship held in Khanty-Mansiysk keep the tradition: each eliminated participant receives this bouquet of flowers from the young man who at the same time thanks the player. The participants as usually squeeze out a smile for a second, but soon they forget about it and remember the events of the previous unsuccessful day. 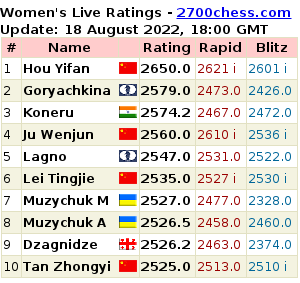 Today the following players will fight on the tie-break: Zhukova - Ju Wenjun, Krush - Huang Qian, Kosintseva T. - Kosintseva N.
The website kvs.gov.ua reports that the World Champion visited Kachanivska penal colony number 54 which is located in Kharkov, Ukraine and held a simul for the prisoners. 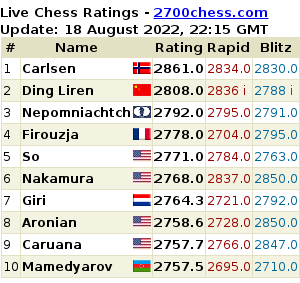 The strongest rapid and blitz players of 2013 will be determined in Khanty-Mansiysk. The Championships will take place from June 1-11.